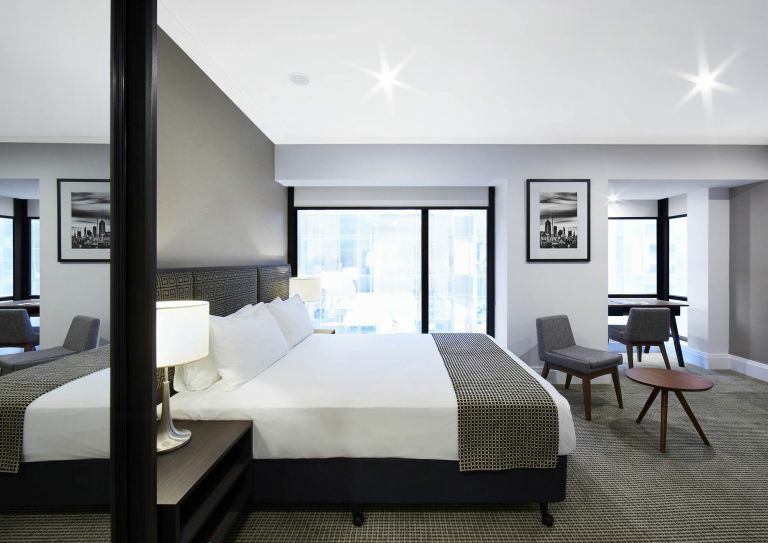 Pan Pacific Hotel in Melbourne’s South Wharf has undergone a colossal refurbishment. The project scope spanned 312 luxury hotel rooms across 13 floors, with each floor including two premium suites and one DDA suite. Also part of the refurbishment was the level 4 Executive Lounge with a dedicated breakfast area and outdoor terrace, and the ground floor lobby. Designed by Sydney based CHADA, the atmospheric aesthetic is largely set by Calacatta marble. Calacatta features prominently across all floors, most notably within the ground floor lobby. The reception desk, concierge desk, structural columns, and breakfast bar are all clad in the same lavish stone. A significant challenge was the demolition of the existing lobby stone flooring in preparation for the designer rug installation. Sourced from Europe, the installation process included the careful demolition of the existing stone to allow the rugs to sit seamlessly among the new stone flooring. Hoarding was used to contain dust and noise, allowing all works to be completed within a single day with minimal disruption to hotel operations and guest stays. 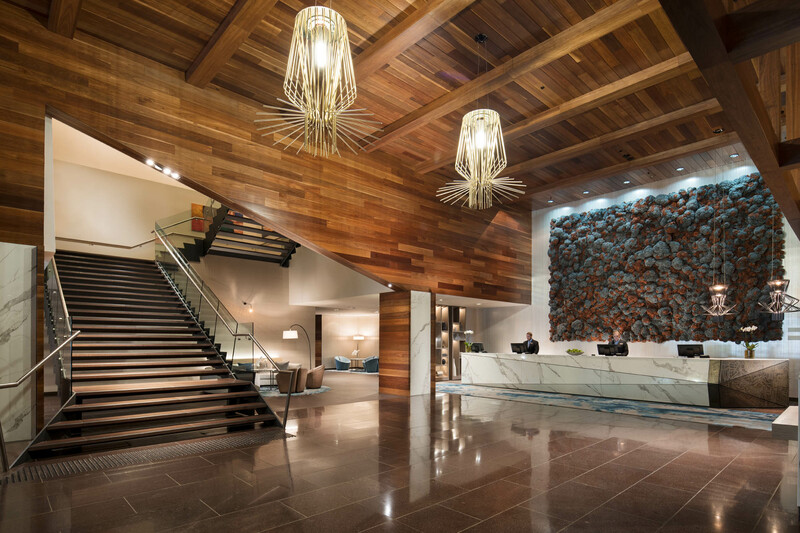 The finished lobby emanates a restrained sophistication. Horizontal timber paneling adds to the overall grandeur of the space, and the rugs are strategically used to segment the large open area into more intimate zones. The lighter colour palette further adds to the sense of expanded space while the oversized pendant lights draw focus toward the impressive double height ceiling. A highly collaborative approach was a critical factor in the successful delivery of this project. Working with a Singapore based client and a Sydney based architect, our Melbourne based team operated beyond the expectations of standard construction personnel. The team was proactive in establishing clear lines of communication between the site and respective parties. All challenges were met head-on to successfully deliver the project on time and as per the client and architect’s vision. As part of our value engineering services, alternative materiality options were provided throughout the project timeline. Schiavello subsidiary, Glassworks, produced the black tinted glass for all 312 guest rooms in place of the initial, dearer, coloured back glass. The clear and focused design intent was also met with the exclusive use of Prima Architectural Joinery throughout all areas of the hotel. The five-month programme was heavily dependent on the team completing all works within the strictest time frames. One floor was completed each week within a hotel operating at capacity. 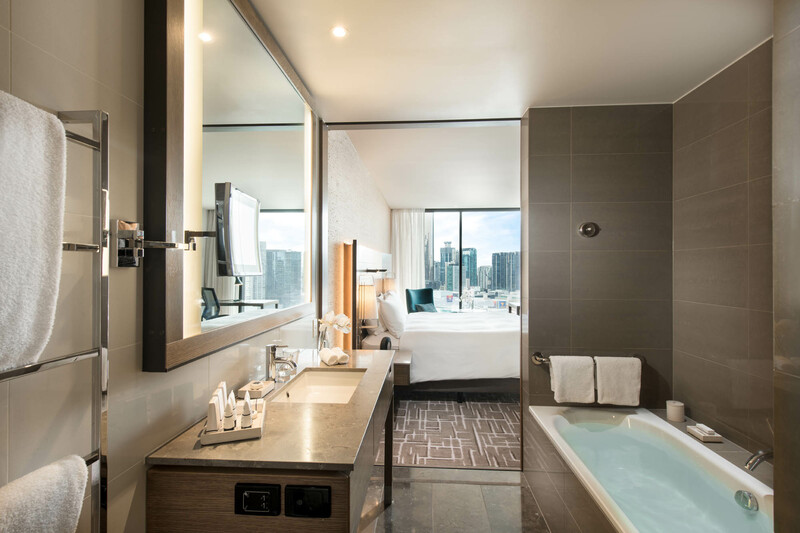 The resulting facilities are grounded in the Pan Pacific experience. With an air of sophistication and warmth, Pan Pacific South Wharf is the ideal hotel for both business and leisure travellers. 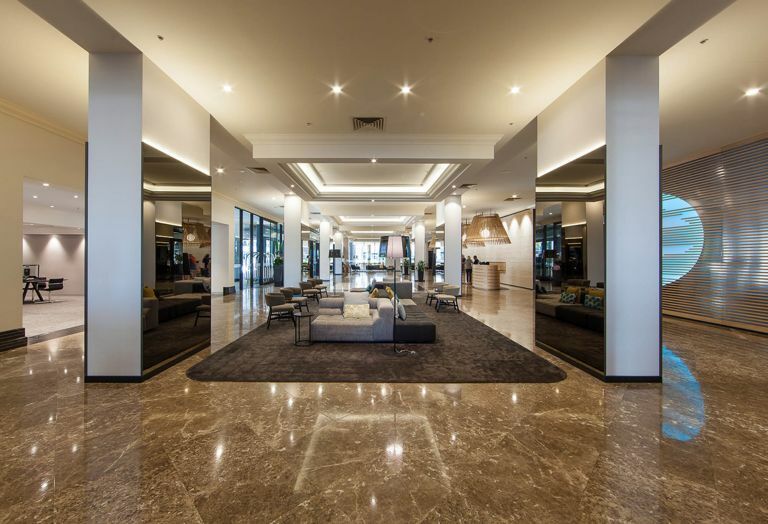 Stamford Plaza received significant internal and external upgrades, including a structural slab infill, facade works, and fitout across 13 floors. Thanks to a multi-million dollar overhaul, Pan Pacific unveils a refurbishment that caters to the needs of the 21st Century traveller.